happy new year!! 2018?! well, it's here! and my goals are set & decisions made for this year. one thing for sure is i'm embracing myself a lot more and being comfortable in my skin. one thing i'm embracing is my default setting when it comes to gifts: don't surprise me! i can guarantee you there's something i would love at your budget from $1 to $1000! anyone who knows me knows how tough i am to buy a gift for. a close friend hates this about me. i'm difficult. i know it. i'm one of those people with very specific tastes and i panic whenever someone says "i've bought you something i think you'll like". i already know i won't like it. and now i must practise my excited face for when i get the item because i know it's been purchased with love. thankfully my husband knows and understands my unique personality. that's why i love him! he pretty much waits to hear what i would like for my birthday or christmas and, as it's around the corner, valentine's day! yeah, i said the "v" word! fail to plan, plan to fail - and this year i am not failing!! i'm taking this years valentine's day to a whole new level because last year i had been in the USA for all of 3 days and was quarantined in a hotel room with a chicken pox covered child! 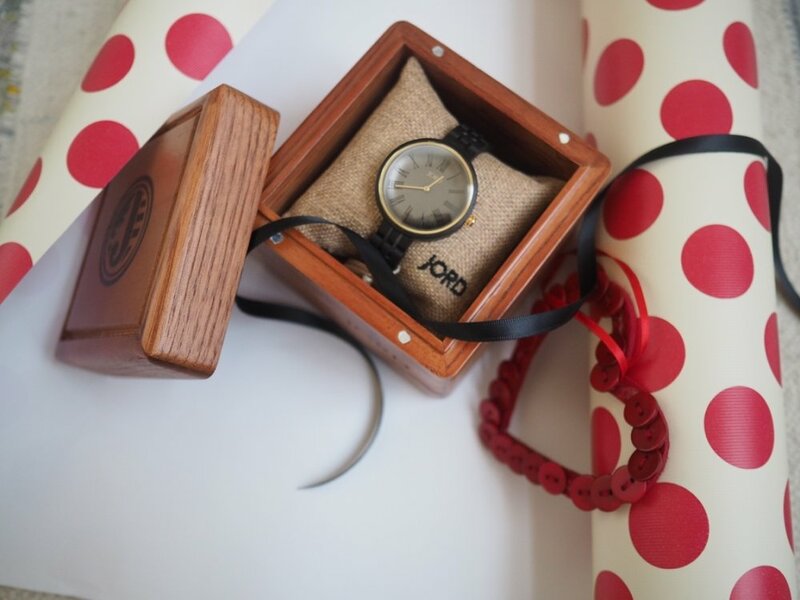 a jord watch i've been lusting after for the past few months would be my top pick for a gift! i just love this watch!! it's from the Cassia Collection and is just so simple and elegant - like me, hahah! seriously though, i love things that are unique and this ticks all the boxes. it's wood - which already has me going gaga, it has roman numerals -i'm a geek - and hey, it's a wood watch! the gold accents against the sable & ebony just finish it off beautifully. so here's how valentine's day would play out. my man would give me the watch at the crack of dawn - cos i'd be up and bouncing on the bed like a puppy (or judah). and he'd give me a beautiful posie of roses - hey it's valentine's day! (actually i'd prefer peonies but i don't think they'll be in season yet....feel free to fly some in from South Africa babe!). 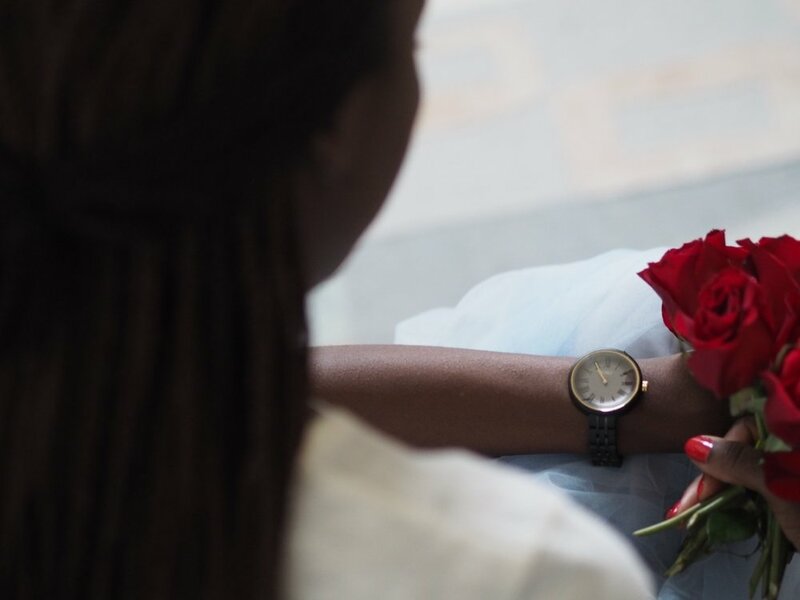 i'd smell my flowers joyfully whilst adorning my new watch and give him a loving kiss. it would be the perfect complement to my outfit - the one i had put aside for his work christmas party..... before he told me there was no office christmas party here in the US office! sacrilege! he'd head out to work and i'd sort kiddos out and give MH her own little gift as she wept last year that nobody loved her due to lack of card in her name. sigh. i'd definitely watch a hallmark movie to erase the stress of the morning. by the time kola got back i'd be ready to take him out to a child-free dinner in Providence! he'd wear his jord watch which we gave him for Father's Day (read about it here), and a snazzy outfit. we'd eat till our tummy's nearly popped - hence the belly disguising tulle skirt, nothing's accidental! we'd catch an uber home and it would've been the perfect day for a girl like me! if you're like me, and love unique pieces, i've got some good news! 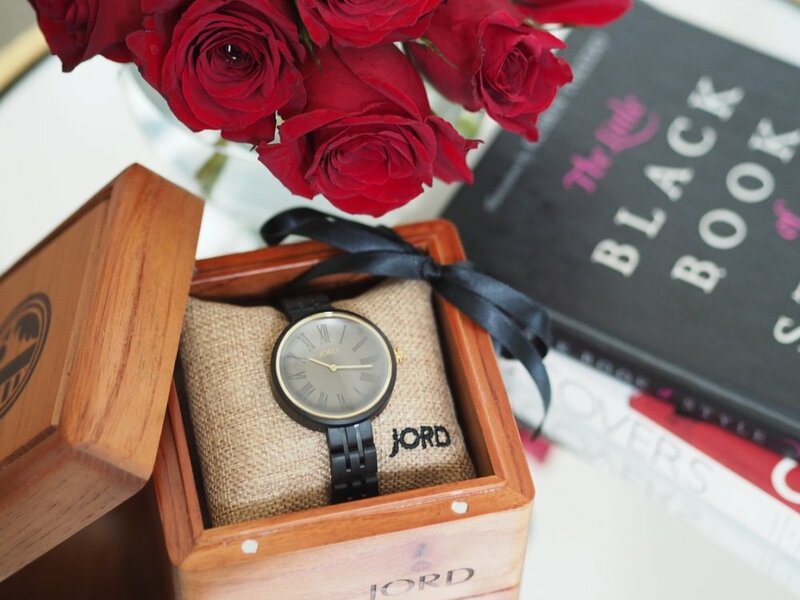 i've partnered with jord watches to offer one of you a $100 gift card to use towards your own watch! perfect way to complete a chic valentine's date-night look. or, if you're cheeky like me, there's nothing better than sweetening the gift suggestion to the other half with a money off code 'eh?! just check out the women's range, it's stunning. I had a hard time choosing between the Frankie & Cassia collections. 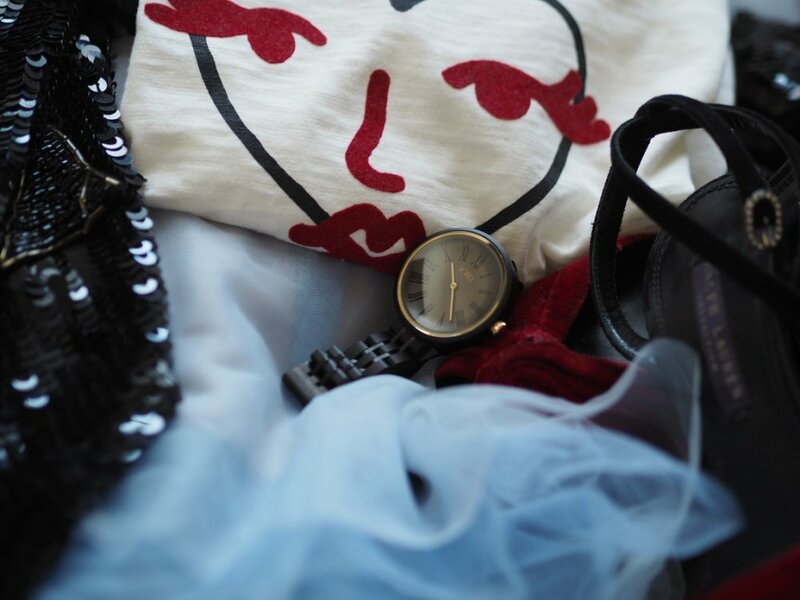 as i mentioned before, both kola & i have found watches we love! if you think the man in your life might love one then check out the men's collection here. did i mention, everyone who enters gets an immediate 10% off code?! Well, you do! Just click here to enter! Double your chances of getting that $100 by getting your other half to enter too! this contest is open until the 14th of January 2018 and is open to all countries that Jord ships to so get involved!! good luck! shoes - past season Ralph Lauren. i like these here.